The Full Moon forms at 02 degrees Aries on September 24 at 7:52 pm PDT and at 2:52 am GMT on September 25. Saturday’s Equinox felt like a true milestone. We have arrived at the beginning of the end of the year. And as we will see going forward; it’s the beginning of the end of a lot of things, people, relationships, and situations. Over the last few months, seven planets and the giant asteroid, Chiron, have been at one point or another, in retrograde. The first solar eclipse of summer 2018 occurred on July 12-13 in Cancer, reminding us of our deep DNA self, heritage, home, and our intense desire to feel our emotions fully and without fear. Self-awareness and acceptance was at the very core of this eclipse. This deep introspection was a necessary starting point for what followed. At the Aquarius Full Moon on July 27, sandwiched between and conjunct the South Node (past lives, past strengths, and habits) and Mars Rx in Aquarius, we were challenged to release our old patterns, habits, and egoic constructs; to look ahead to the unknown and untried, and to detach from the collective in order to deepen our commitment to self- love and change. Finally, August 11 solar eclipse in Leo brought us back to our sovereign self, allowing us to reclaim our true radiance and deepen our commitment to self-determination. It’s been a long hot summer – quite literally. I know it and you do too. So here we stand. We’re at the leading edge of the last quarter of 2018. 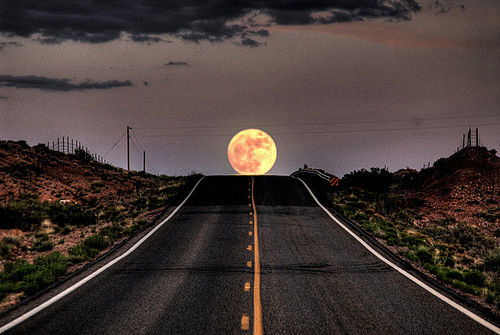 Tonight’s Full Moon in Aries conjuncts Chiron, opposes the Sun and Mercury in Libra, and squares Saturn in Capricorn. This T-square is focused on individuation and self-acceptance, balance and transition, and self-fulfillment versus societal expectations. This will challenge our very core expectations – all the way down too what it means to be a woman or a man, what it means to be human, and how to proceed to repair, reconcile and reconnect to our true desires, while healing our afflicted and wounded past and present life selves. We have to pay attention to this 100% of the time. Actions speak louder than words. We can’t get sloppy. We will be moving up and out. Aries demands to be who they are. And you should too! Accept no substitute. Discover your own route to the future. Use your energies efficiently, discover your true strengths and desires – not the ones that were handed down through your history as a being here on planet Earth or through your DNA. Let go of that. Fight for self-determination and transformation. We need to be strong now. We’re going to have to be tough on ourselves. There will be a lot of distractions and we need to stay focused. This period of transition will require concentration and lots and lots of love. We’re moving into a very new way of living. Be the one you’ve always wanted to be. Be the one you know you are. Deep in your heart of hearts.